ForgeRock documentation includes a separate Samples Guide. When you have read the first two chapters of this document, you can use the Samples Guide to test OpenIDM in a number of different configurations. 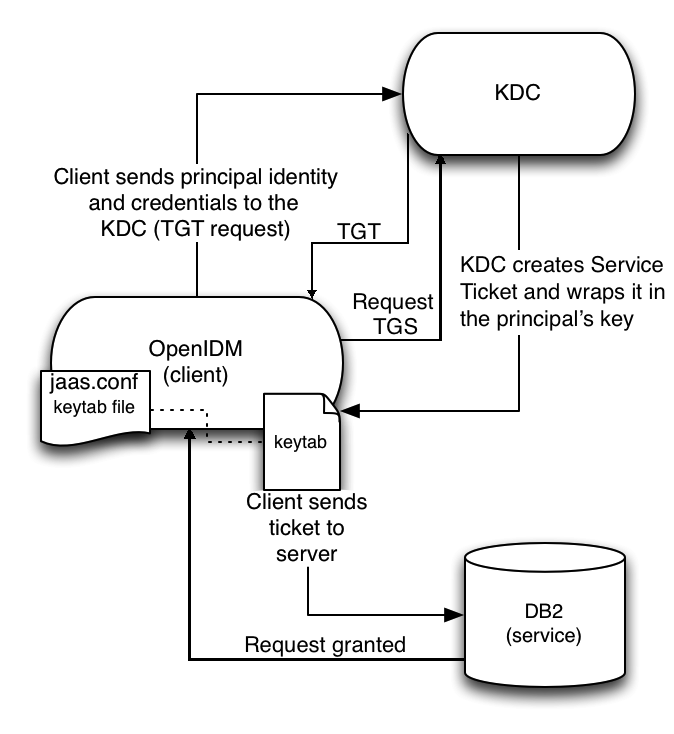 OpenIDM services run in an OSGi container with an embedded Servlet container, and an embedded noSQL database. By default the OSGi container is Apache Felix (Felix). The default Servlet container is Jetty. For OpenIDM 4.5, the only supported configuration is running the services in Felix and Jetty. Download the bnd Java archive file (bnd-1.50.0.jar) that enables you to create OSGi bundles. For more information about bnd, see http://www.aqute.biz/Bnd/Bnd. The update process is largely dependent on your particular deployment and on the extent to which you have customized OpenIDM. You should engage ForgeRock Professional Services for help in updating an existing deployment. If you are updating from OpenIDM 4.0, you can take advantage of new OpenIDM update options from the command line and the Admin UI. For a generic view of the update process, see "An Overview of the OpenIDM Update Process". If you are migrating a deployment from earlier versions of OpenIDM, follow the manual update process. This section provides background information on the OpenIDM update process. If you want to jump to the steps required to update OpenIDM from version 4.0 to 4.5, read "Updating From OpenIDM 4.0 to OpenIDM 4.5". "The OpenIDM Update Process in Labels"
"Repository Scripts and the OpenIDM Update Process"
Before starting the update process, back up your existing deployment by archiving the openidm directory, as well as the contents of your supported repository. As there is no "undo" option available during the OpenIDM update process, this backup can be used to restore your deployment or restart the update process if something goes wrong. Save any customized *.json configuration files, typically located in your project's conf/ subdirectory. You'll need to make judgements on how to apply these customizations to your OpenIDM 4.5 deployment after the update is complete. OpenIDM 4.0 and above includes MD5 checksums for each file. When updating, these checksums allow OpenIDM to verify file changes. The update process writes access.js files with a .new-unix_time extension in the same directory. You must merge any changes from the latest version of the .new file into your customized script file. For more information, see "What You Should Do After Updating to OpenIDM 4.5". Project configuration files (JSON): Files related to your project are patched with the content of the corresponding 4.5 configuration file, regardless of whether they have been customized. If you have a customized version of standard OpenIDM 4.0 JSON configuration files, be careful. If you overwrite a new OpenIDM 4.5 version of that file, you might overwrite new features. As a best practice, apply and test each custom change to the new OpenIDM 4.5 configuration file. For more information, see "What You Should Do After Updating to OpenIDM 4.5". System configuration files: (boot.properties, system.properties, config.properties, and jetty.xml) are written with a .-new-unix_time extension in the same directory, regardless of whether they have been customized. You must merge any changes from the latest version of the .new file into your existing configuration file. For more information, see "What You Should Do After Updating to OpenIDM 4.5". Currently, the logging.properties file is not addressed by the update process, as the default version of this file has not changed since OpenIDM 4.0. If you have a customized version of standard OpenIDM 4.0 JSON configuration files in your project directory, be careful. If you overwrite a new OpenIDM 4.5 version of that file, you might overwrite new features. As a best practice, apply and test each custom change to the new OpenIDM 4.5 configuration file. For more information, see "What You Should Do After Updating to OpenIDM 4.5". System configuration files: (boot.properties, system.properties, config.properties, and jetty.xml) are not patched if they have been customized. Instead, the update process creates configuration files with a .new-unix_time extension in the same directory. 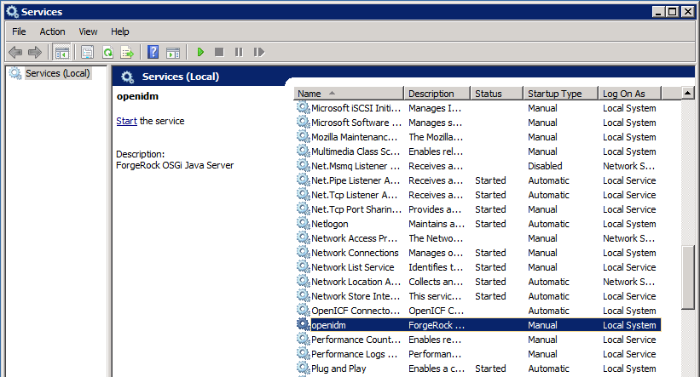 You must merge any changes from these .new- files into your customized configuration files. For more information, see "What You Should Do After Updating to OpenIDM 4.5". If you have not customized these files, the update process replaces the existing configuration file with the corresponding 4.5 file. Currently, the logging.properties file is not addressed by the update process, as the default version of this file has not changed since OpenIDM 4.0. If there are update scripts for your OpenIDM repository, you may want to get Database Administrator (DBA) help and approval for those updates. Review applicable repository update scripts from the OpenIDM update binary. You can find these scripts in the following directory: /path/to/openidm/db/repo/scripts/updates. Apply the v1_* script first, followed by the v2_* script, and so on. The update process will ask you to confirm that you've applied the required updates. As noted in "Updating From OpenIDM 4.0 to OpenIDM 4.5", you can update OpenIDM 4.0 to OpenIDM 4.5 via the UNIX/Linux CLI. You'll find detailed information on the cli.sh update option in this section. For general information on cli.sh and cli.bat, see "OpenIDM Command-Line Interface" in the Integrator's Guide. The URL of the OpenIDM REST service. The default URL is http://localhost:8080/openidm/. This can be used to import configuration files from a remote running instance of OpenIDM. This option is used by all three subcommands. The port number associated with the OpenIDM REST service. If specified, this option overrides any port number specified with the --url option. The default port is 8080. This option is used by all three subcommands. Do not use the --skipRepoUpdatePreview option until you (or your DBA) has reviewed repository update scripts. For a list of scripts used between OpenIDM 4.0 and OpenIDM 4.5, see "Changes in Database Schema: OpenIDM 4 to OpenIDM 4.5" in the Release Notes. DELETED The file should exist in the current installation but does not; OpenIDM installs the file during the update. The release of OpenIDM 4.5 includes additional automation in the update service for deployments installed on UNIX/Linux systems, including repository updates. If you've installed OpenIDM on Microsoft Windows, you'll have to migrate your systems manually. For the procedure, see "Migrating From OpenIDM 4.0 to OpenIDM 4.5 on Windows". The update process does not support changes to any project directory when configured as a subdirectory of /path/to/openidm. That includes the samples listed in the /path/to/openidm/samples directory. For more information on the samples, see "Overview of the OpenIDM Samples" in the Samples Guide. Before you start, back up your OpenIDM 4.0 systems, including your OpenIDM database. As OpenIDM updates are a one-way process, you should have a backup in case of problems. If needed, you must restart the update process from that backup. If you have integrated OpenIDM with OpenAM, you should first disable the OPENAM_SESSION module, as described in "Configuring OpenIDM for the Full Stack Sample" in the Samples Guide. You can re-enable the OPENAM_SESSION module after the update is complete. Make sure you've saved any customized *.json configuration files, typically in your project's conf/ subdirectory. You'll need these files after the update process is complete. If your OpenIDM project directory is located on a read-only volume, mount that directory in read-write mode before starting the update process. Access to the update binaries is restricted to ForgeRock customers. Before starting the update process, extract and apply the repository update scripts from the OpenIDM 4.5 binary. You may want to share them with your Database Administrator (DBA). For more information, see "Updating OpenIDM 4.0, Repository Scripts". Before starting the update process, identify files in custom directories not known to OpenIDM. Save them, and apply them to your OpenIDM deployment after all stages of the update process are complete. For more information, see "What You Should Do After Updating to OpenIDM 4.5". If you use anything but the standard OpenIDM Admin and Self-Service UIs, this issue related to custom directories applies to you. If you followed the procedure described in "Customizing the UI" in the Integrator's Guide, you'll have custom files in the openidm/ui/admin/extension and openidm/ui/selfservice/extension directories. OpenIDM 4.5 includes significant UI improvements. The update process does not copy those improvements to the noted extension/ subdirectories. When you're ready to start the first stage of the update process, see "Updating OpenIDM 4.0, Stage One". When you're ready to start the second stage of the update process, see "Updating OpenIDM 4.0.0, Stage Two". When you're ready for the main part of the update, see "Updating OpenIDM 4.0, Stage Three". Once the update is complete, you may have additional work before putting your system back into production. Start with files that include .new-unix_time extensions. For more information, see "What You Should Do After Updating to OpenIDM 4.5". Review repository changes between OpenIDM 4.0 and OpenIDM 4.5. You can find update scripts in an unpacked OpenIDM 4.5 binary, in the openidm/db/repo/scripts/updates directory, where repo is the subdirectory for your supported repository. If you need DBA approval to update the OpenIDM repository, share these scripts with your DBA. For more information, see "Changes in Database Schema: OpenIDM 4 to OpenIDM 4.5" in the Release Notes. Before updating from OpenIDM 4.0 to OpenIDM 4.5, apply these scripts now, in numeric order. In other words, apply the script that starts with v1_* first, followed by v2_* and so on. The OpenIDM repository update scripts address the differences between the OpenIDM 4.0 and OpenIDM 4.5 supported repositories. They may not address any custom schema, columns, or tables that you have implemented in production. As OrientDB is not supported in production, ForgeRock does not support updates of deployments with that repository, and OpenIDM 4.5 does not include OrientDB update scripts. For a list of supported repositories, see "Before You Install OpenIDM Software" in the Release Notes. Now you're ready to start the first part of the update process, where you will use the OpenIDM 4.0 update facility to include several OpenIDM 4.5 bundles. OpenIDM must be running before you can execute all three stages of the update procedure. If you're running OpenIDM with an external project-dir, specify the full path to that directory. Run the following REST call to patch the configuration of your repository. This will speed up this first part of the update process, and minimize the risks of timeout-related issues. The output from this command includes the revised contents of your repository configuration. If you see a 404 error from this REST call, you might not have configured a supported JDBC repository, as described in "Installing a Repository For Production". You can run the next step(s) either from the CLI or the Admin UI. If you are using a port other than 8080, include --port number in the ./cli.sh update command. You'll be prompted to accept a license. If you're scripting the update, you can add an --acceptLicense switch to the command. If you want to set up a script for this process, note the delay between the Restart request completed and OpenIDM Ready messages. Admin UI: You can also run the first part of the update from the Admin UI at http://localhost:8080/admin. Navigate to Configure > System Preferences > Update. The instructions in the UI are intuitive. You should see an Installation Preview screen with a list of affected files, in the categories described in "Preview of File Updates". Afterwards, you'll also see an Installing Update screen with a list of files that have been updated. Scroll to the bottom of the Admin UI. After refreshing your browser, you should see the updated version of OpenIDM (4.0.0-1) in the footer of the web page. You can also see the updated version by navigating to Configure > System Preferences > Update. 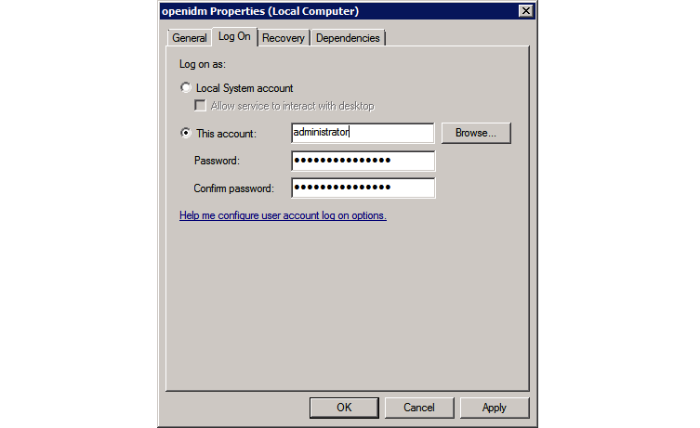 If you see a pop-up window to log into the OSGi Management Console, select Cancel. Now you're ready for stage two, which will install additional enhancements to the update process. Admin UI: Alternatively, you can run the second part of the update from the Admin UI at http://localhost:8080/admin. Clear your browser cache and cookies after this update is complete. Scroll to the bottom of the Admin UI. After refreshing your browser, you should see the updated version of OpenIDM (4.0.0-2) in the footer of the web page. You can also see the updated version number by navigating to Configure > System Preferences > Update. You should have already applied repository update scripts, as described in "Updating OpenIDM 4.0, Repository Scripts". If not, leave out the --skipRepoUpdatePreview option. If you want to set up a script for this process, note the delay between the Restart request completed and the final -> OpenIDM ready messages. Updating the repository is your responsibility. You should have already done so in "Updating OpenIDM 4.0, Repository Scripts". Assuming that is true, confirm this when the Admin UI prompts you to download and acknowledge that you've run these scripts. After you first select Install Update, you'll see a Repository Update Script Preview screen where you'll get a chance to download these pre-configured scripts for review. Assuming you have already applied these scripts, click Continue to start the update process. When you see the screen with Repository Updates, assuming you've applied these scripts, click Mark Complete. When the update is complete, refresh the browser. Scroll to the bottom of the Admin UI. You should see the updated version of OpenIDM in the footer of the web page. You can also see the updated version by navigating to Configure > System Preferences > Update. In either case the process may not be complete. You may find files with the .new-unix_time extension. If they now exist, you may have additional work to do, as described in "What You Should Do After Updating to OpenIDM 4.5". If you see errors in the console after OpenIDM restarts, they could be related to updated files, as discussed in "What You Should Do After Updating to OpenIDM 4.5". If you've customized OpenIDM 4.0, you may find files with the following extensions: .old and .new. For more information, see "An Overview of the OpenIDM Update Process". Files with the .new-unix_time extension are files from OpenIDM 4.5 that have not been incorporated into your updated installation. For example, if you find a system.properties.new-unix_time file in your project-dir directory, OpenIDM is still using your pre-update version of this file, which would still be named system.properties. To take full advantage of OpenIDM 4.5, you will want to incorporate the new features from files with the .new-unix_time extension in your deployment. If you have files with multiple .new-unix_time extensions, use the file with the latest unix_time. The OpenIDM update process does not account for any changes that you made to existing standard JSON files such as sync.json and managed.json. In fact, the update process overwrites these files with the standard OpenIDM 4.5 versions of those files. Do not overwrite these OpenIDM 4.5 JSON files. Instead, analyze the custom settings from your original JSON files. Review "What's New in OpenIDM 4.5" in the Release Notes. Apply each custom setting to the files now in your OpenIDM 4.5 deployment, and test the results, to make sure they still work as intended. If you have a custom OpenIDM Admin or Self-Service UI, you need to take a few extra steps. This assumes that you followed the instructions shown in the introduction shown in "Updating From OpenIDM 4.0 to OpenIDM 4.5", and have saved any custom UI configuration files that you set up in the openidm/ui/admin/extension and openidm/ui/selfservice/extension subdirectories. Review your UI custom files. Compare them against the OpenIDM 4.5 version of these files. Apply your custom changes to each new OpenIDM 4.5 UI file in the openidm/ui/admin/extension and openidm/ui/selfservice/extension subdirectories. The steps outlined in this section will help you take advantage of the new functionality offered in OpenIDM 4.5, while preserving your custom configuration where possible. Before you start, read through the changes made for OpenIDM 4.5 in "OpenIDM Compatibility" in the Release Notes. Some of these changes might affect your existing deployment. Updates from OpenIDM 4.0 to OpenIDM 4.5 on Microsoft Windows are still a manual process. Download and extract the OpenIDM 4.5 .zip file. The HTTP, HTTPS, and mutual authentication ports are specified in the conf\boot\boot.properties file. If you changed the default ports in your OpenIDM 4.0 deployment, make sure that the corresponding ports are specified in this file. Check that the keystore and truststore passwords match the current passwords for the keystore and truststore of your OpenIDM 4.0 deployment. Depending on the level of customization you have made in your current deployment, it might be simpler to start with your OpenIDM 4.0 boot.properties file, and copy all new settings from that file to the version associated with OpenIDM 4.5. However, as a best practice, you should keep all configuration customizations (including new properties and changed settings) in a single location. You can then copy and paste these changes as appropriate. Security files: Copy the contents of your OpenIDM 4.0 security\ folder to the OpenIDM 4.5 instance. Check that your customizations work as expected, then port the changes for OpenIDM 4.5 to the new script in the openidm-4.5\script directory. Alternatively, copy the connector .jars from your existing installation into the openidm\connectors\ folder of the new installation. Complete the OpenIDM 4.5 installation, as described in "Installing OpenIDM Services". Start with the default 4.0 configuration. For each configuration file that you have customized, use a file comparison tool such as the Windows fc.exe utility to assess the differences between your customized file and the OpenIDM 4.5 file. Based on the results of the fc.exe review, use either your existing file as a base and port the OpenIDM 4.5 changes to that file, or vice versa. Ultimately, you want to preserve your customizations but ensure that you are up to date with the latest default configuration. All files should end up in the openidm-4.5/conf directory. OpenIDM 4.5 includes scripts to reflect repository changes. You can apply them directly, as described in "Updating OpenIDM 4.0, Repository Scripts". OpenIDM 4.0 and above supports a Maintenance Service that disables non-essential services of a running OpenIDM instance, in preparation for an update to a later version. When maintenance mode is enabled, services such as recon, sync, scheduling, and workflow are disabled. The complete list of disabled services is output to the OpenIDM log file. 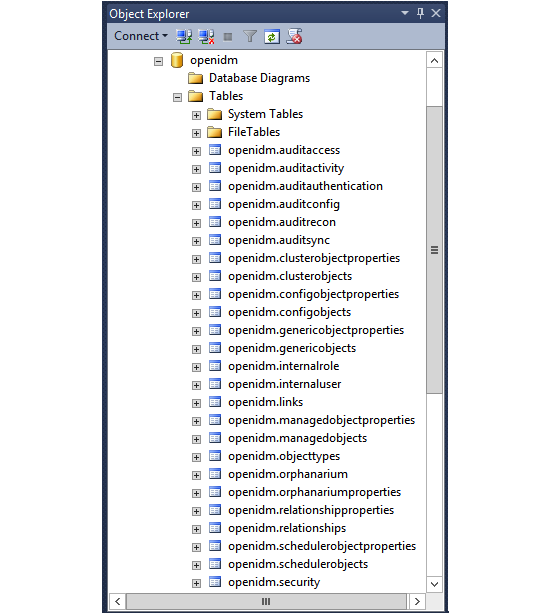 OpenIDM can help you route audit data to a remote data store. For an example of how OpenIDM sends data to a MySQL repository, review "Audit Samples" in the Samples Guide. In a production environment, you must configure a supported repository for OpenIDM, as described in "Installing a Repository For Production".